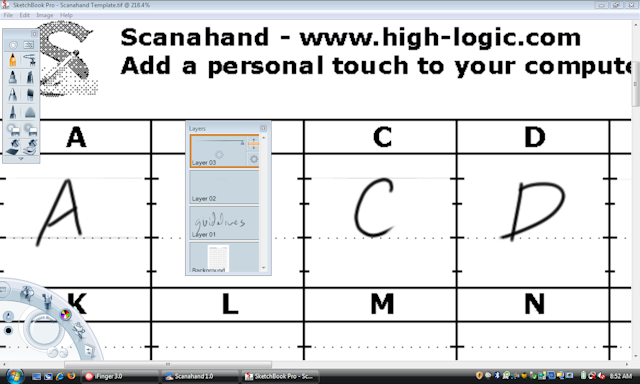 We occasionally get questions about how to use Scanahand on a Tablet PC, as Scanahand has no direct support for drawing directly on the template. Fortunately that doesn't mean you can't make fonts on your Tablet PC. Tip: Depending on the used image editor (AutoDesk Sketchbook Pro, Gimp, PaintShop Pro, Photoshop, etc. ), you can have an additional layer for guidelines (which you have to draw yourself), but be sure to turn the layer off when you import the picture.